As I've been telling you all, time and again, it has unusually been pretty good weather here this year, till May. I've been trying a few things, like I bought and planted some brinjal saplings, because of the favourable weather conditions here. But, since June has started, the weather has played havoc here. First with some dust storms, which saw winds above 110kmph, followed by rains, both of which caused damages to hundreds of trees throughout the entire National Capital Region (NCR), damages ranging from breaking branches, to entire uprooting of trees, then came some record shattering days of heat waves which sent the mercury in the thermometers shattering past records with each passing day, and adding to our woes were the frequent power outages, which are a regular feature of almost every year, but, this year, the conditions have been much more deplorable as a result of the damage caused to the power distribution lines by the dust storm. 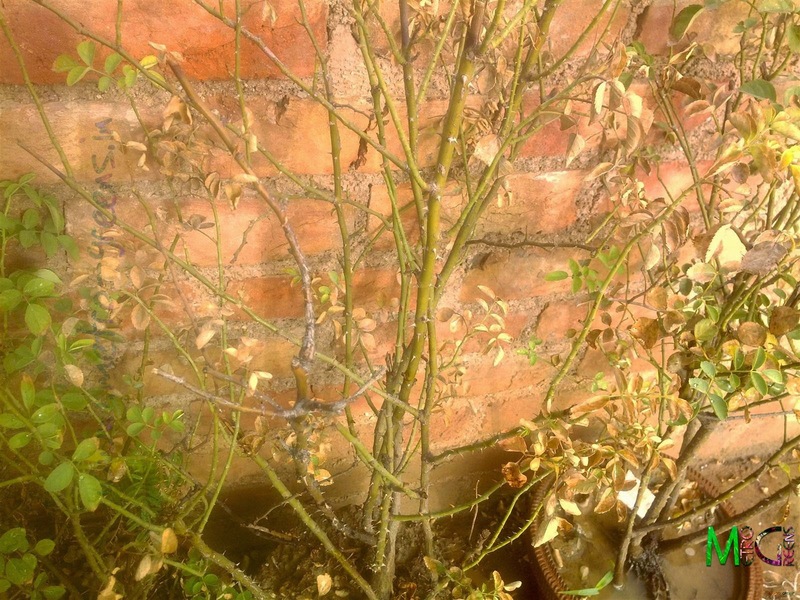 The leafless orange rose plant. 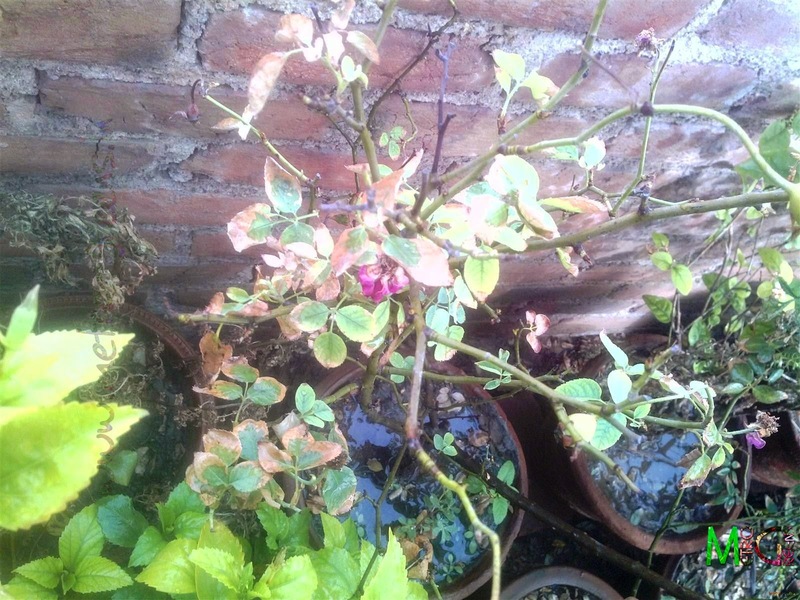 The affected red rose plant. 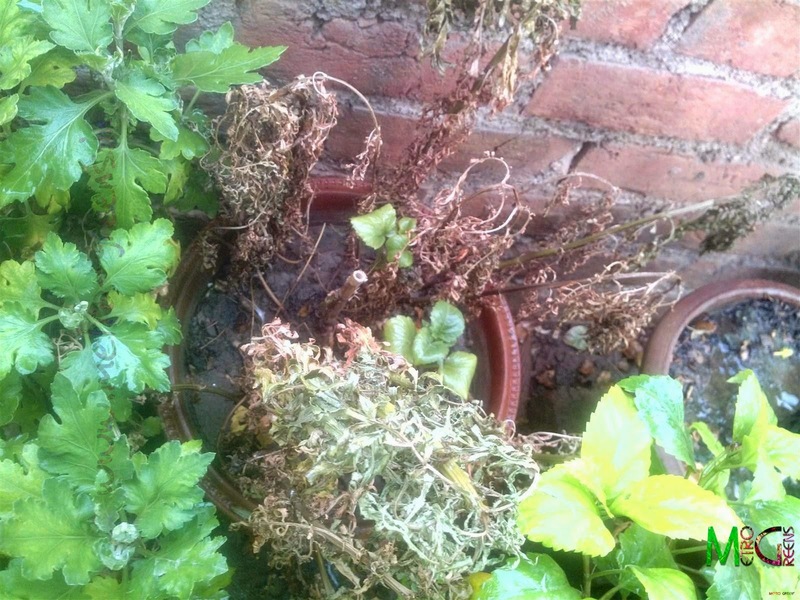 The scorching summer has been proving bad for my plants too. The heat wave is proving difficult for the plants to cope up with, as a result, I've lost a few plants, and some others are on the verge of dying. I am helpless, as I can't do a lot to save all of them. I have lost one of my two year old mango plants., while the other one is almost dead, just trying hard to live. 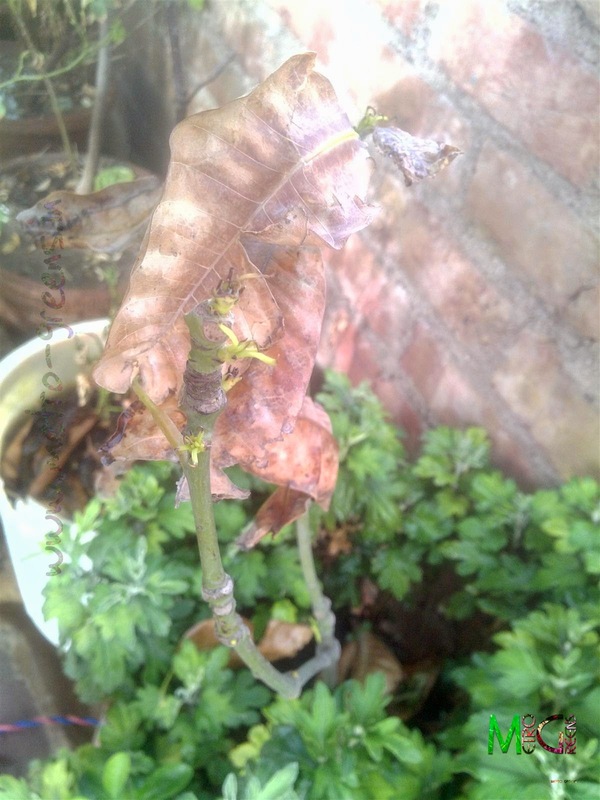 Almost all of my marigold plants are dead, all the rose plants have lost their leaves, and are entirely leafless. My curry leaf plant. 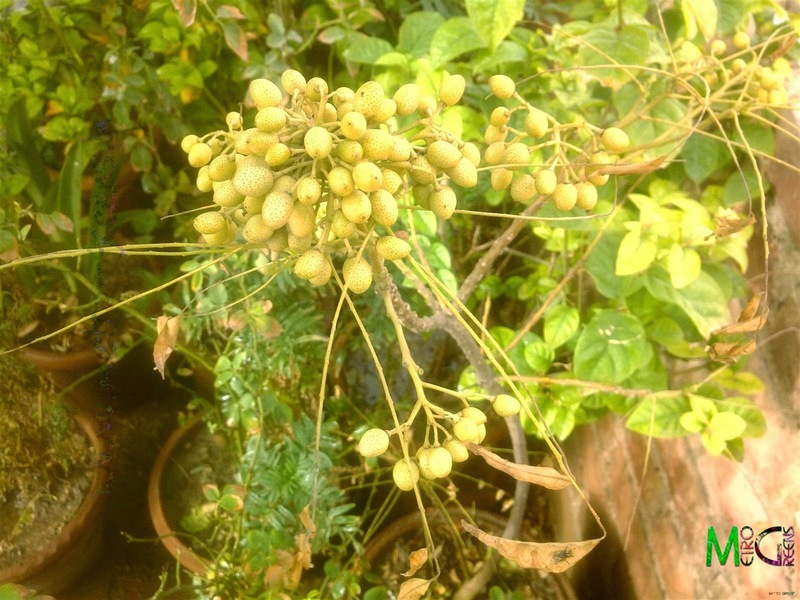 It is bearing fruits, but has lost all the leaves. 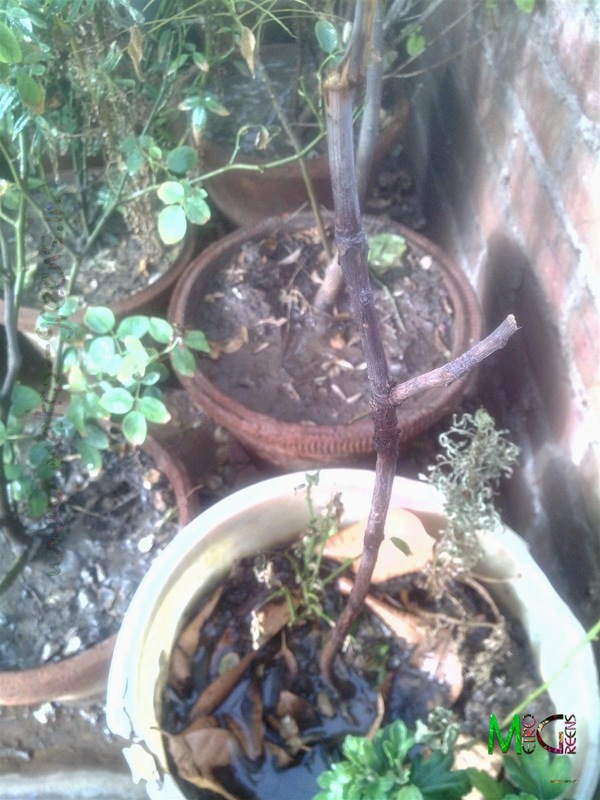 The dead mango plant. I'm still hoping against hope that it would still come back from the dead. The second mango plant, which is struggling to live. 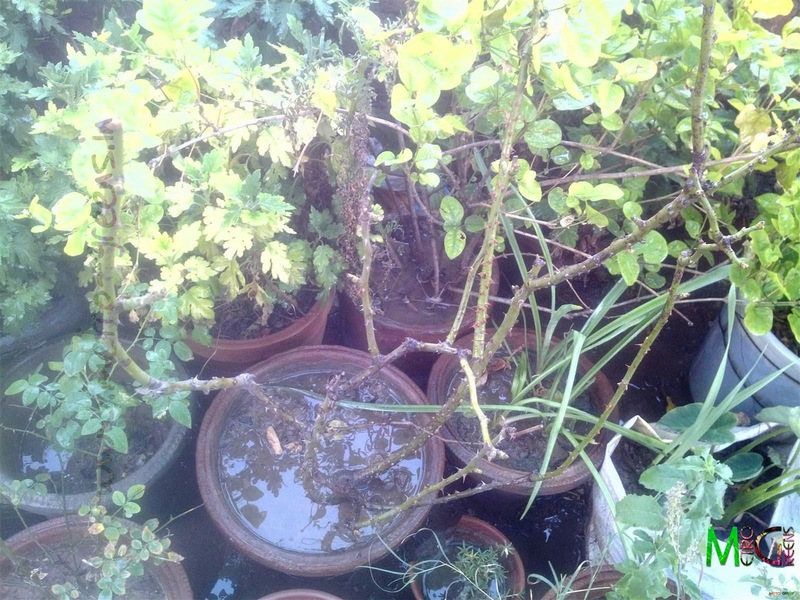 The other affected rose plants. I have tried creating shade using the agro shade net, that helps me during severe winters to keep my plants safe from frost, but, it too isn't proving sufficient to help. Seems anything won't help unless the nature comes to the rescue. I am trying my best to keep all my plants alive. The frequency of watering has increased to three-four times a day. Now, I am just waiting for the rains to provide some respite from this scorching heat. Will keep you all updated with all the latest happenings in my garden. Till then, keep trying and HAPPY GARDENING!